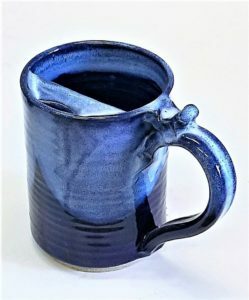 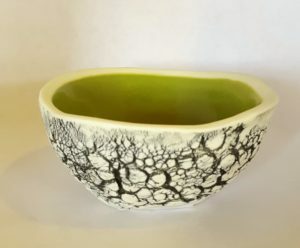 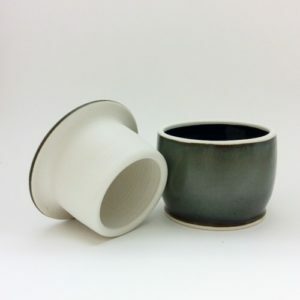 We make pottery in partnership with one another. 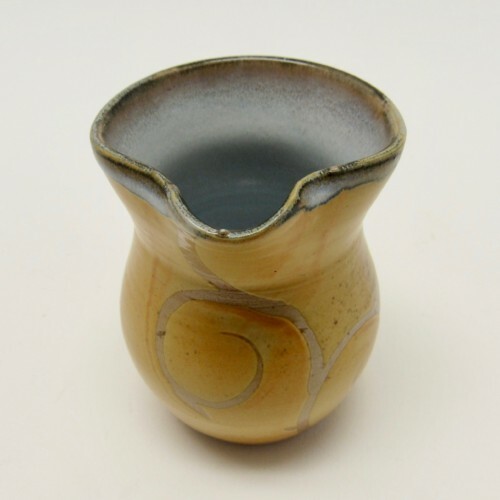 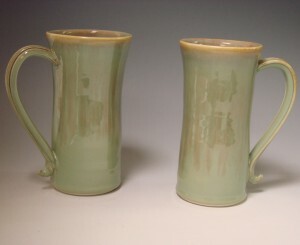 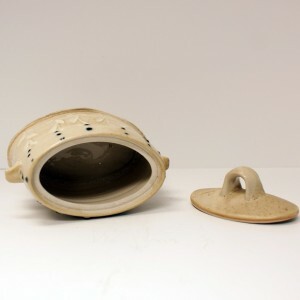 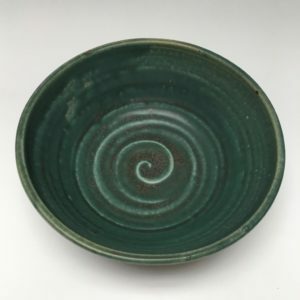 Grace does much of the throwing, concentrating on traditional functional forms with flowing curves and strong lines. 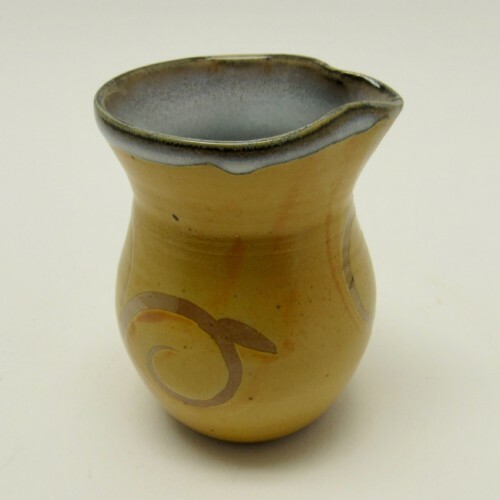 Evan decorates using slip wiping and brushwork with pigments and wax resist. 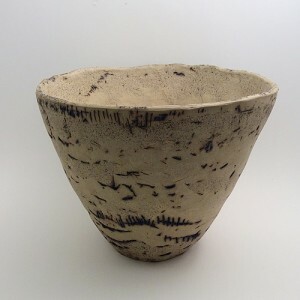 Our pots are then fired in our Bourry box wood kiln. 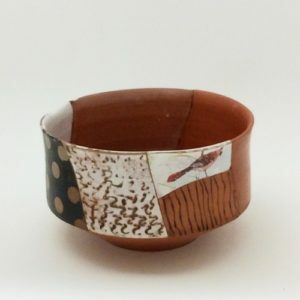 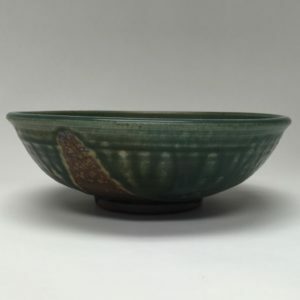 We both started learning to throw pots as undergraduates, then honed our craft through traditional apprenticeships with students of the famed British potter Michael Cardew - Grace with Todd Piker and Evan with Miranda Thomas. 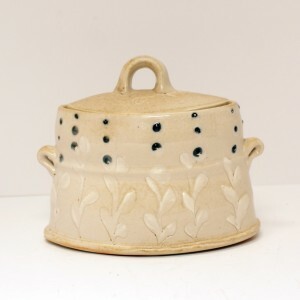 We honor that tradition while bringing our own voice to our pots. 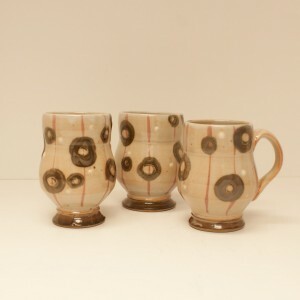 We endeavor to create work that is simple and honest to its materials and feels right to use in everyday life. 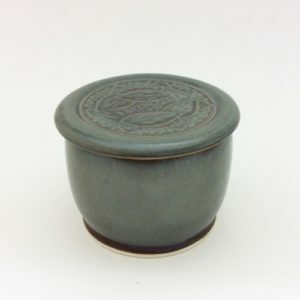 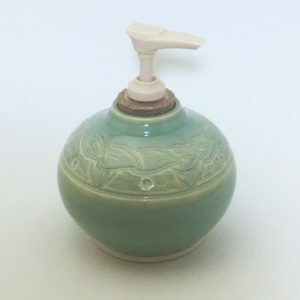 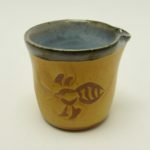 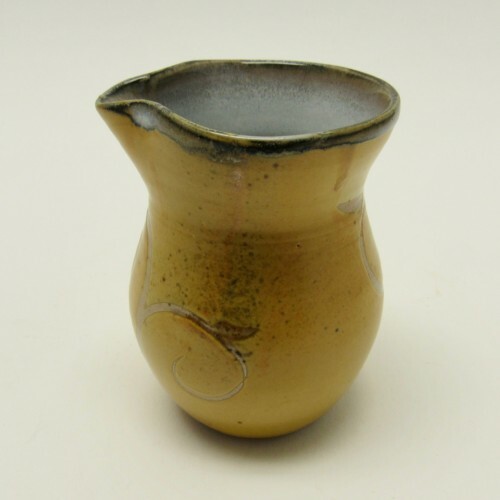 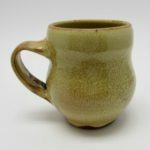 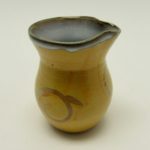 Ceramic creamer with a matte honey-colored glaze and detailed with a floral pattern; 3 3/4″ tall, 2 3/4″ opening.